Any physical or legal person, alone or in combination, may apply for a trademark, irrespective of running a related business. Collective marks and guarantee marks may be applied for by associations having legal personality as well as by corporate bodies. Trademarks may consist of any signs that can be represented graphically, in particular words, including personal names, designs, letters, numerals and the shape or style of the goods, provided that such signs are capable of distinguishing the goods or services of one enterprise from those of other enterprises. Three-dimensional marks and sound marks are protectable when fulfilling the above-mentioned criteria. Haptic or olfactory trademarks are still not registrable. Signs that exclusively consist of state coats of arms, national flags or other national emblems or of the coats of arms of Austrian provincial or local authorities, official test or guarantee signs and signs of international organisations to which a member country of the Paris Convention belongs are excluded from registration. containing or consisting of improper geographical indications identifying wines or spirits. Names of establishments or premises, outlets etc, as well as domain names (ie, sub-level domains) are considered as ‘special designations’ provided they do not correspond with the name or firm name itself. They therefore enjoy protection if misused by a third party in the course of business. However, direct protection is only accepted in the case of distinctiveness per se. Otherwise, acquired distinctiveness has to be proven. Special designations are considered (eg, names of establishments or premises, outlets) as well as domain names (ie, sub-level domains) as long as they do not correspond with the name or firm name itself. Business symbols and other devices used to distinguish one enterprise from another, particularly the shape of goods, their packaging or wrapping and business papers (eg, letters showing the letterhead, the firm’s logo or name, firm stamps on letters) that are recognised as being representative of the enterprise by the trade involved are also deemed to constitute special designations of an enterprise. However, they enjoy protection only with proof of acquired distinctiveness among the business circles involved, which depends on the specific case and may sometimes encompass the whole population of Austria, or, on the contrary, only a limited circle of specialists. The injured party may sue the infringing party at the Vienna Commercial Court to refrain from misuse, whereby the usual remedies (see question 28) are available. The claim for injunctive relief and elimination lapses, however, after six months from the end of the infringement. For all other claims there is a limitation period of three years. The claim for injunctive relief lapses after five years of knowledge of the infringement of the sign, provided that the infringer has not acted in bad faith. Without complications, a registration can be obtained in a few months (two to six); otherwise it can take several years. No additional documentation, referring to the applicant, is needed. An appointed domestic professional representative requires a power of attorney. Costs for up to three classes (official and attorney’s fees) are in total about €1,100 to €1,200. Extra costs may arise for further classes (multi-class applications are possible) or in the case of complications (eg, adaptation of lists of goods, professional efforts in the case of objections, complaints about rejection decisions). Goods and services are classified according to the Nice Classification. Class headings as well as items from the published list of goods and services (10th edition) may be used. Terms not contained in the list often encounter objections. Multi-class applications are available and might save, depending on the number of classes, up to about 50 per cent of the total costs in comparison with an equivalent number of theoretical single-class applications. Applications are not examined for conflicts with other trademarks. Thus, parties cannot interfere in the application procedure. There is only an examination as to formalities (eg, the correct classification) and absolute bars. Objections raised by the Patent Office may be responded to by the applicant. An official similarity report is released upon request by the applicant. Senior (trademark) rights are no bar to registration, but may give rise to opposition or cancellation action after registration of the new trademark. Pre-use of a trademark is not required for registration. Therefore, no proof of use has to be submitted. Based on a foreign application one can claim within six months priority for a domestic application, irrespective of whether the foreign application leads to registration. Mere use in a foreign country does not give rise to priority. Starting from registration the trademark owner has a five-year grace period within which the trademark cannot be contested on the grounds of non-use. After that period anyone may file a cancellation action based on non-use. In such a case, maintenance of the trademark will depend on proof of use or justification of non-use. The rejection of an application can be recoursed at the Vienna Upper Provincial Court. Against a negative resolution, revisional recourse can be lodged at the Supreme Court of Austria, provided that all prerequisites are fulfilled. An opposition may be filed within three months starting from the publication date of a registered Austrian trademark, or within three months starting with the first day of the next month after the publication of a registered international trademark covering Austria, respectively. Opposition may only be based on a senior trademark application or registered trademark (ie, Austrian trademark, international trademark valid in Austria, European Union (EU) trademark). The opposition procedure is generally conducted in written form. At the request of one of the parties an oral hearing must be held. An oral hearing may also be held ex officio. A plea of lack of use of the trademark on which the opposition was based may be brought forward. In that case the opposer need not furnish full proof of use but must only show prima facie evidence of use. In the case of an action (eg, based on non-use) against the trademark on which the opposition is based the opposition proceedings shall be suspended. If there are several oppositions against the same trademark the most promising opposition may be continued, whereas the other oppositions will be suspended. The decision on an opposition is rendered by a single member of the Legal Department of the Austrian Patent Office. If an opposition is partly or fully granted the opposed trademark is quashed (not cancelled) from the beginning of its duration of protection. An opposition decision may be recoursed at the Vienna Upper Provincial Court. In opposition proceedings each party must bear its own costs, which may be about €1,100 if no proof of use or oral hearing is requested. After registration a third party may file a cancellation action with the Nullity Department of the Austrian Patent Office. bad faith, for example, purported by a foreign brand owner whose brand, either identical or similar, is registered in Austria by someone else with the intention to hinder the foreign brand owner from entering the Austrian market. The holder of a prior right (registered or unregistered trademark, trade name etc) may base a cancellation action on relative grounds, namely, confusing similarity between the senior sign and junior trademark in respect of the registered goods and services. In the case of a well-known senior right, cancellation may also be demanded for dissimilar goods and services. In these cases the cancellation has retroactive effect from the date of registration. However, the right to file a cancellation action by a prior right holder based on relative grounds is forfeited after five years from the date of knowledge of the use of the younger trademark. In cancellation proceedings an oral hearing is scheduled after prior exchange of the applicant’s writ and trademark owner’s counter-writ. The final decision of the Nullity Department of the Patent Office may be appealed at the Vienna Upper Provincial Court. Costs for a cancellation action in each instance may be about €5,000. The trademark right is effective from the date of registration in the trademark register. The period of protection of trademarks registered from 1 September 2018 hence lasts 10 years from the day of application and may be extended repeatedly for 10-year periods by paying a renewal fee. The period of protection of trademarks registered before 1 September 2018 ends 10 years after the end of the month in which the trademark was registered. Whenever the period of such trademarks ends, the next period will be calculated from the respective application date and the renewal fee will be reduced in relation to the reduction of the next following period. Besides the renewal fee no other requirements, such as proof of use, are necessary. The Austrian Patent Office does not release a renewal certificate, so the payment receipt is the only proof of renewal besides an extract from the trademark register. The payment can be effected during the last year of the 10-year period or, with an excess fee, within six months after the expiry thereof. a sign that is identical or similar to the trademark in relation to goods or services that are not similar to those for which the trademark is registered, where the latter is well known in Austria and where use of that sign, without due cause, takes unfair advantage of, or is detrimental to, the distinctive character or reputation of the trademark. A registered trademark is prima facie evidence of an existing right before any administrative authority or court. However, in a trial, a court may examine the validity of a registered trademark in suit as a pre-question. On the basis of a registered trademark, one may apply for border seizures of counterfeit goods. A trademark may be the subject of an exclusive or non-exclusive licence covering the whole territory of Austria, or part of it, in respect of the complete list of goods or services, or part of it. The licence may be recorded in the trademark register. However, the registration only has declaratory character (ie, only serves to inform the public) and is not decisive for the legal validity or effect of the licence (eg, whether the licensee has a right of action against an infringing third party depends only on the content of the licence agreement and not on the registration of the licence in the trademark register). The benefit of a recorded licence lies in the fact that a trademark infringer cannot successfully argue, if decisive, that they did not know about the licence. A trademark may be assigned with or without goodwill or the business concerned for all or part of the registered goods and services. Where the assignment would deceive the public, the assignee must consent to any restrictions to remedy the deception. instead of an assignment document, as mentioned above, a unanimous assignment declaration by the parties or their representatives, which does not require any legalisation, may be submitted to the Patent Office. The Patent Office still reserves, however, the right to request any originals, certified copies or further documents. In both cases representatives require just an unlegalised power of attorney. Professional representatives may simply rely on their power of attorney without filing it with the Patent Office. Recording an assignment is not mandatory. However, until such time as the transfer of the mark has been recorded, the right to the mark may not be asserted before the Patent Office and all communications concerning the mark served on the registered owner of the mark shall have effect with regard to the acquirer of the mark. Licences, liens and other security interests may be recorded in the trademark register. However, that register is only declaratory (serves to inform the public). This means that the entry of such interests etc in the trademark register is not identical to the acquisition of the right and is not binding on third parties. The signature of the licensor, pledgor etc, must be notarised, whereby the notary public must state that the person signing the document is entitled to sign on behalf of the licensor, pledgor etc on the date of signing in a legally binding manner. Depending on the countries involved, the notarisation needs to be super-legalised diplomatically or by a Hague Apostille. The signature of the licensee, pledgee etc does not need any legalisation. The application for registration may be filed either by the licensor, pledgor etc or by the licensee, pledgee etc on the basis of an original document or a copy thereof. Any representative needs a respective power of attorney. It is not necessary to file the complete licence contract, lien document etc. For registration, a simple licence declaration or lien declaration from which the essential conditions can be gathered is sufficient. The indication of a trademark is not compulsory and therefore has no legal effect whatsoever. Analogous to foreign regulations, some trademark owners use an ® or the letters ™ in a circle to indicate that the trademark is registered. However, such indication has no benefit. On the other hand, it might, however, be deceptive if, for example, the symbol ® appears after the word of a registered combined word-design mark, when the word per se does not enjoy protection. It also might be regarded as deceptive if the symbol ® is used in combination with a trademark not yet registered (pending application). Infringers (dilutive users are also regarded as infringers) of Austrian trademarks or of international trademarks covering Austria may be sued in the first instance at the Vienna Commercial Court or at the Vienna Provincial Court for Criminal Matters, or both, on the basis of Austrian Trademark Act, which contains civil and criminal claims against trademark infringements. The second instance is the Vienna Upper Provincial Court. If admissible, for example, if questions of general importance are touched on, then the third instance is the Supreme Court of Austria. Infringements of EU trademarks may be sued in the first instance at the Vienna Commercial Court or the Vienna Provincial Court for Criminal Matters. Seizures of counterfeit goods may be effected upon request by the Austrian Customs Authorities according to EU regulations and the Austrian Product Piracy Act. The withheld goods shall be destroyed if the importer does not oppose the seizure. If it does oppose, however, it is up to the trademark owner to launch, within a given term, a civil or criminal proceedings; otherwise the counterfeit goods are released. In civil matters a single judge decides in the first instance. In the second or third instance, the decision is released by a board or senate. Any type of suitable evidence is permitted, including live testimony. There is no discovery procedure. Each party may rely on private experts and their opinions. The court may appoint an official expert, for example when acquired distinctiveness is questionable. In each instance a decision in the regular proceedings may be expected after about one year. In preliminary injunction proceedings, the periods may be shorter. Criminal trademark matters are also heard in the first instance by a single judge. The full burden of proof lies with the plaintiff, that is, the trademark owner or (if empowered) its, his or her licensee. Any type of evidence that is deemed to be appropriate may be brought forward. Remedy may be claimed by anybody whose rights to a trademark are infringed, namely, by the trademark owner or a derivative thereof (the licensee, etc). The original or derived trademark right is to be proved to the court. Criminal complaints may be raised by the injured physical or legal person within six weeks of the knowledge of the action and the offender. In general, foreign activities cannot support a charge of infringement or dilution. However, for example, if a company has a prior foreign (registered or unregistered) trademark and a competitor files in Austria a similar or identical junior trademark (in order to hinder the first company from entering into the Austrian market), then the first company may successfully sue the competitor for having registered its trademark in bad faith so that the junior trademark will be cancelled ex tunc. In accordance with the Directive on the Enforcement of Intellectual Property Rights (2004/48/EC), which was introduced into domestic law, the Vienna Commercial Court may order that the infringing party should submit well-defined evidence that it holds. Preliminary injunctions may not only be released for securing of the claim itself but also for preservation of evidence. Such preliminary injunctions may even be released without hearing the defendant if the injured party may probably suffer a non-repairable damage or if there is a risk that evidence will be destroyed. Searching of premises under civil law (as well as under criminal law) may be ordered. In provisional proceedings claiming a temporary injunction, a decision in the first instance may be expected within a couple of months. For each instance of appeal, the time frame is, at most, one year. In main proceedings, each instance might last about one year. Costs depend on the value of the litigation. In the first instance, the overall costs range from about €7,000 to about €14,000. In the instances of appeal, one should calculate at least €10,000 per instance. A successful plaintiff can recover part of the costs from the infringer. It is generally regulated by law that the losing party must refund the costs of the procedure and representation to the winning party on basis of the value of litigation. However, these costs are usually lower than the overall costs of the proceedings. Resolutions and judgments at first instance (Vienna Commercial Court) may be referred or recoursed to the Vienna Upper Provincial Court. If admitted, another appeal (revision or revisional recourse) to the Supreme Court of Austria may be launched. If not admitted, an extraordinary appeal to the Supreme Court may be filed. limitation or forfeiture of the right to sue. damages, in the event of wilful infringement, including the profits of which the plaintiff has been deprived, or surrender of the profits realised by the infringer through the trademark infringement. If the trademark in suit has been registered for more than five years, a preliminary injunction is only granted if it is substantiated that the trademark is not vulnerable to cancellation due to non-use. imprisonment for up to two years in the case of professional infringement. Alternative dispute resolution techniques are commonly used and an attempt is first made to settle the pending dispute by negotiations. Sometimes mediation is accepted by the parties or they agree to contact a local or international arbitration board. The benefits of such techniques lie in saving time and money. The risks are that all these measures do not exclude eventually going to court. A foreign trademark, irrespective of its publicity, is generally not granted any protection in Austria. If it is in use domestically without registration it may enjoy protection against infringements based on the Law Against Unfair Competition. Based on the Trademark Act cancellation of a similar or identical registered trademark for similar or identical goods and services may be requested, if the latter is junior to the non-registered trademark. A senior foreign trademark owner may, however, for example, be successful against a similar or identical junior Austrian trademark if the latter was filed in bad faith in order to prevent the foreign national to enter the Austrian market. It depends on the circumstances of each case which degree of publicity is to be taken into account. Trademark rights, enhanced by any degree of publicity, can only be claimed for registered Austrian trademarks. It is crucial that domestic publicity is given. Such publicity of a registered Austrian trademark might be achieved even if the trademark is not used in Austria but only abroad. A senior Austrian trademark having gained publicity provides protection against registration of a junior Austrian trademark, validity of a junior international trademark covering Austria and registration of a junior EU trademark and use of such a trademark or sign in Austria if the junior trademark or sign is identical or similar, even if the goods or services for which the junior trademark or sign is registered or used, respectively, are dissimilar. In the latter case it is, however, crucial that the use of the junior trademark or sign takes, without due cause, unfair advantage of, or is detrimental to, the distinctive character or the repute of the known trademark. In order to be granted this protection, the publicity of the senior trademark must have been existent at the latest on the filing date of the junior trademark or the commencement of use of the junior sign, respectively. Thus, a trademark having gained publicity enjoys extended protection against exploitation of reputation (parasitic exploitation), impairment of repute (damage to reputation), utilisation of distinctiveness (exploitation of attention) and impairment of distinctiveness (dilution). The degree of protection depends in any case on the degree of publicity. Proof of publicity may be brought by any evidence, namely, documents, private expert opinions, opinions by certified or sworn court experts, or both, public opinion polls, market studies, inquiries and (confirmation) letters of licensees, producers, importers and wholesalers, sales figures, promotion figures, examination of parties and witnesses, etc. However, there are no fixed percentages for the different degrees of publicity, although one might assume that a trademark is well known if it has an accepted view in the related field of about 50 per cent. An amendment of Austrian Patent Attorneys Act, which involves slight adjustments in several IP Acts, is under consideration. Its main focus lies on freedom to provide services of patent attorneys within the EU. On the basis of a senior word and word-design mark, ITIKAT opposition was raised against word-design mark ÖZITIMAT, all trademarks for goods of classes 29 and 30. The Nullity Department of the Austrian Patent Office as well as the Vienna Upper Provincial Court rejected the opposition for lacking risk of confusion. In a parallel infringement proceedings another board of the VUPC has, however, confirmed the risk of confusion, wherefore an extraordinary revisional recourse was brought before the Supreme Court of Austria. It was, however, rejected on the following grounds: a legal question of considerable importance does not exist, even if the recourse court differs on the merit in an opposition proceedings from a decision in a parallel infringement proceedings under civil law as long as it stays within its given scope of decisional margin (Supreme Court of 24 May 2016, 4 Ob 116/16m - Austrian Patent Gazette 2017, 19). The Vienna Upper Provincial Court has ordered the cancellation of a defendant’s trademark with respect to one class because the trademark was extended to that class, although prior use by the plaintiff was known. The knowledge of the prior use in connection with the purpose of the application (gaining of a protection right) was regarded as a motive against morality creating bad faith (VUPC of 8 September 2016, 34 R 83/16z, Austrian IP and Copyright Magazine 2017, 146). A revisional recourse against this resolution was rejected by the Austrian Supreme Court, which, among other grounds, held that bad faith can be confirmed in case of obstruction of competition contrary to morality. Prior use per se is enough. The basis for the judgment of worthlessness is the intention of the applicant to obtain a weapon in order to disturb a system created by a competitor. This intention must not necessarily be the only motive of the applicant, for it suffices that it is an essential motive. 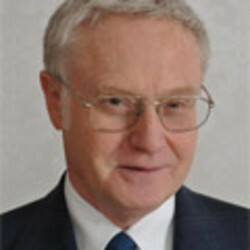 Under this aspect, bad faith of a trademark application can be assumed even if the applicant has its own intent to use, but also wants at least to disturb the distribution of goods and services of a competitor having senior priority (Supreme Court of 24 January 2017, 40b 261/16k - Austrian Patent Gazette 2017, 67; GRUR Int 2017, 335). The Austrian Supreme Court decided in the course of an admitted extraordinary revisional recourse that the acquisition of a trademark right that occurred in violation of public order does not itself (automatically) create for competitors a claim for discontinuance of the use of the trademark. It diverges thereby from former decisions and held that the claim for discontinuance requires a specific basis in the respective laws (Trademark Act, Law against Unfair Competition). The question of acquisition contrary to public policy may be at best relevant if the acquirer defends its use by relying on an own right (Supreme Court of 24 January 2017, 4 Ob 252/16m - GRUR Int 2017, 507). A genuine use of a trademark is present when, in the course of business, a sign is used for the designation of goods or services or is used with reference to them in such a manner that an ordinarily informed, alert and sensible average consumer assumes or may assume that the sign serves for differentiation of the goods or services from identical or similar goods or services of another origin. The sign must therefore be understood as a designation of origin. For that purpose it is not, however, enough to use the trademark, for instance, in catalogues, on despatch bags, shopping baskets, shelf or price stickers in shop windows and in business premises, as well as in promotion or the like, for example, on invoices, order forms or adhesive tapes, if the trade perceives the sign just as a reference to the enterprise but not also as a reference to the origin of the goods or services (VUPC of 5 December 2016, 34R-109/16y - Austrian Patent Gazette 2017, 31; Austrian IP and Copyright Magazine 2017, 133). 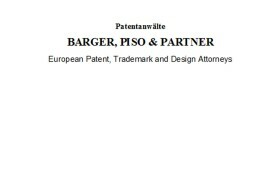 The office of Patent Attorneys Barger Piso & Partner has a tradition and experience of more than 100 years.